Workplace pensions - what you need to know. In most cases, your employer also adds money into the pension scheme for you, and you get tax relief from the government. What you’ll get and how you can take it depends on the type of scheme your employer offers you. You can usually take 25% of the money tax free. You can get money from a workplace or other pension on top of the State Pension. Today the maximum basic State Pension you can get is £115.95 per week for a single person. You may not see any changes if you’re already in a workplace pension scheme. But if your employer doesn’t already contribute to your pension, they will have to start when they ‘automatically enrol’ every worker. Our pension specialists can quickly advise you best options available and will perform a review free of charge. Simply call the team FREE on 0800 36 88 133. 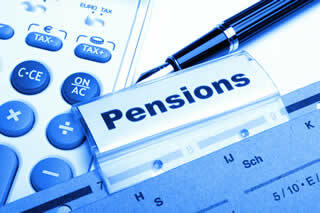 Alternatively use the pension review test and find your best option.